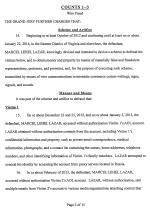 FEBRUARY 3--The Romanian hacker whose illegal exploits first exposed Hillary Clinton’s use of a non-governmental e-mail system is set to waive extradition later this month so he can face trial in the United States on a nine-count felony indictment. 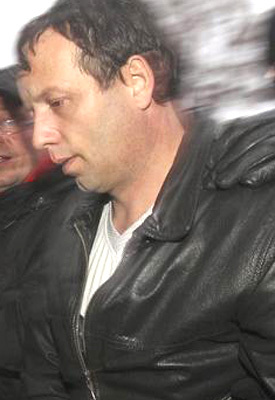 Known as “Guccifer,” hacker Marcel Lehel Lazar, 43, is scheduled for a February 17 extradition hearing in Romania, where he has been jailed since his arrest in January 2014. Lazar is serving a four-year sentence for hacking into the e-mail accounts of several public figures in Romania, including the head of the country’s intelligence service. In a phone interview from a Bucharest prison, Lazar said that he will waive extradition during a Court of Appeal hearing in two weeks. 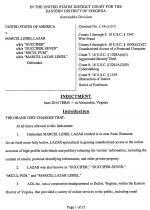 Six months after Lazar’s indictment on federal charges in June 2014, the U.S. Department of State filed an extradition request with the Romanian government. 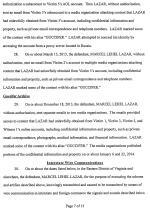 U.S. officials are seeking to extradite him “right now, right on the spot,” said Lazar. Since he will not contest those efforts, Lazar added, he expects to be brought to the U.S. within the next few months. 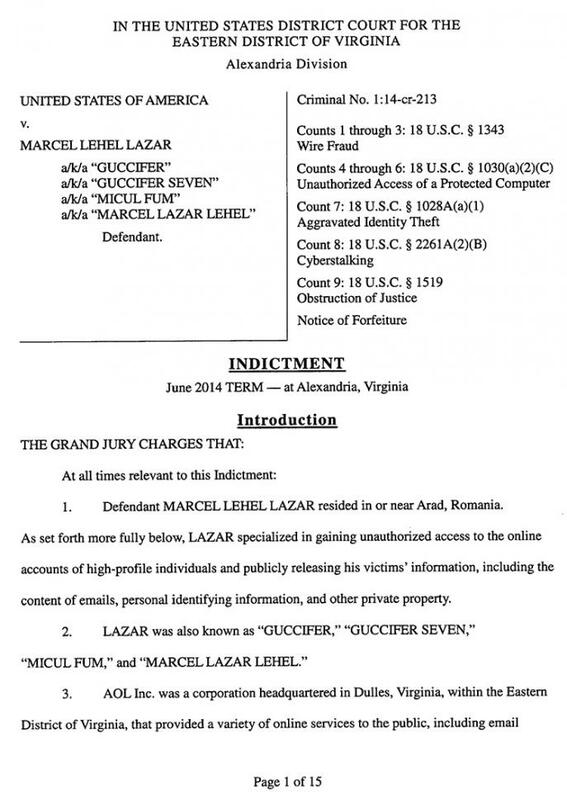 Lazar will face trial in federal court in Alexandria, Virginia, where he was indicted for fraud, obstruction of justice, cyberstalking, identity theft, and unauthorized access of a protected computer. 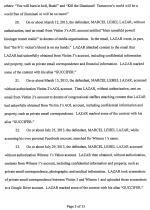 Lazar's indictment is excerpted here. 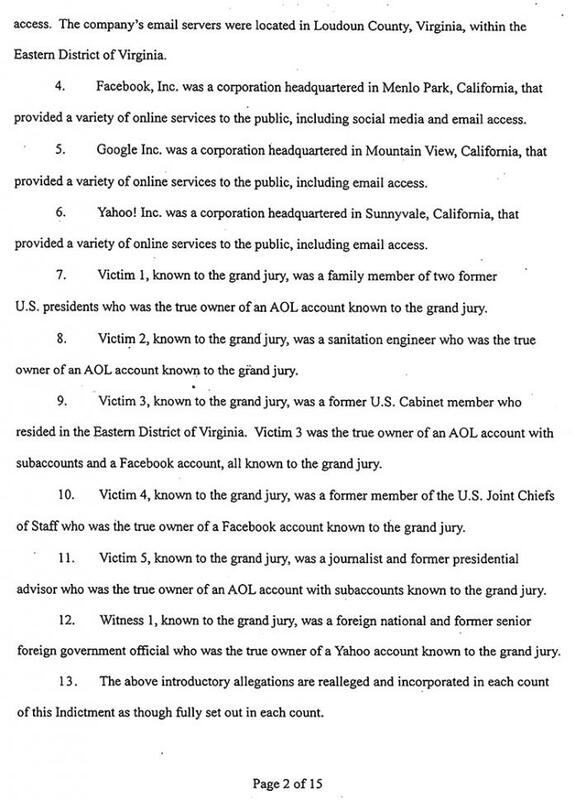 The “Guccifer” hacking spree began in late-2012 with the ransacking of e-mail accounts of Bush family members and friends. Lazar’s victims would eventually grow to include dozens of public figures, including former Secretary of State Colin Powell; CBS sportscaster Jim Nantz; authors Candace Bushnell and Kitty Kelley; billionaire venture capitalist John Doerr; journalists Carl Bernstein and Tina Brown; actress Mariel Hemingway; former Nixon aide John Dean; three members of Britain’s House of Lords; and numerous U.S. military officials, including a former member of the Joint Chiefs of Staff. 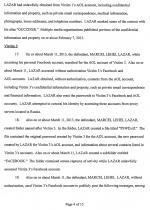 But the Lazar e-mail incursion with the most serious repercussions was his March 2013 hacking of the AOL account of Sidney Blumenthal, the Clinton family confidant. 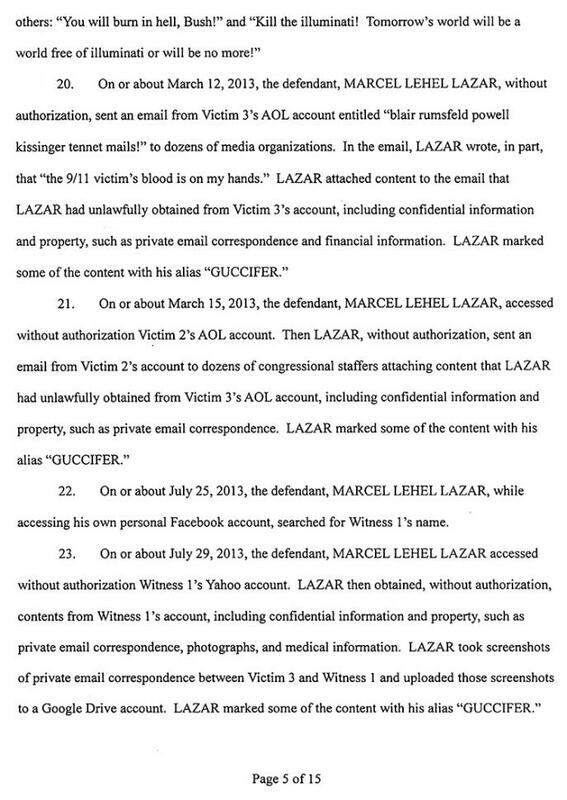 While in control of the AOL account, Lazar (seen at left) copied Blumenthal’s e-mails, including dozens of messages sent to Hillary Clinton, who was then Secretary of State. Blumenthal’s e-mails to Clinton--many of which included detailed memos about international affairs--were not sent to her government address, but rather to [email protected]. The clintonemail.com domain was registered on January 13, 2009, as Clinton's Senate confirmation hearings were about to commence. The revelation that Clinton used her personal e-mail account for Department of State business--and that her e-mail was housed on a “home brew” server--prompted a sprawling FBI investigation that is examining, among other things, whether classified material was improperly sent and stored via the unsecure system.